For Julie Dasher, founder and lead designer of Julie Dasher Rugs, shifting careers nine years ago from human resources consultant to rug designer wasn’t that big of a leap. “In my soul, I was an artist,” she says. “For years, I had spent my free time making crazy quilts from fabric scraps I collected at our design center in Minneapolis. 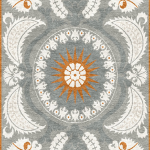 Composition and creating beautiful shapes was my passion.” Julie’s love of quilt patterns, her lifelong passion for textiles and an abiding respect for craftspeople brought her simultaneously to rug design and GoodWeave®. 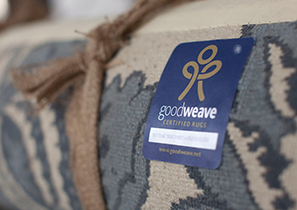 Julie credits her daughter Lily for helping point her company in GoodWeave’s direction. After watching a YouTube video of children weaving rugs, the mother-daughter pair decided that it would be “really cool to help stop child labor.” Julie laments, “It just breaks my heart thinking of children Lily’s age on the loom for thirteen hours a day.” Julie holds a master’s in business administration and understands the marketing benefit of GoodWeave membership. “Marketing research does indicate that more people are loyal to a brand if the product is produced in a socially conscious way,” she argues. 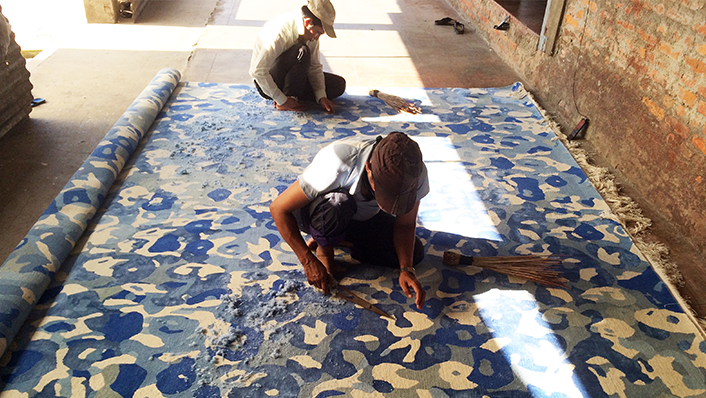 Julie’s company specializes in custom, hand-knotted Tibetan wool and Chinese silk rugs crafted in Nepal. 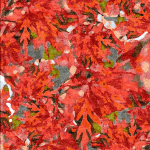 In addition to custom coloring and sizing her patterns into custom rugs, Julie also works with interior designers to help them develop private label collections. “My mind is always spinning with ideas,” she says. “Long before I had any thought of going into the rug business I kept a sketch book with rug designs.” Some of those designs, such as “Bar Chart Bliss,” which is in striped jewel tones, come from her years of quilting. “The stripe reminds me of a quilting technique called strip piecing,” she explains. 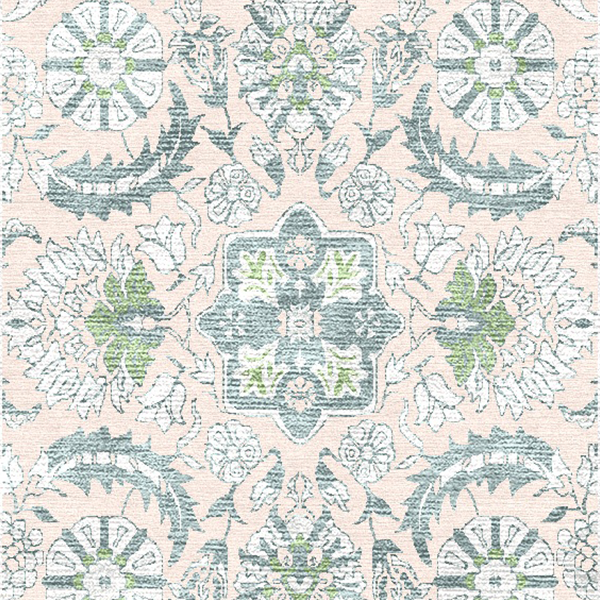 Other rug designs are influenced by her travels to destinations such as Ephesus, Turkey, where she visited traditional weavers and watched people harvest silk from cocoons. 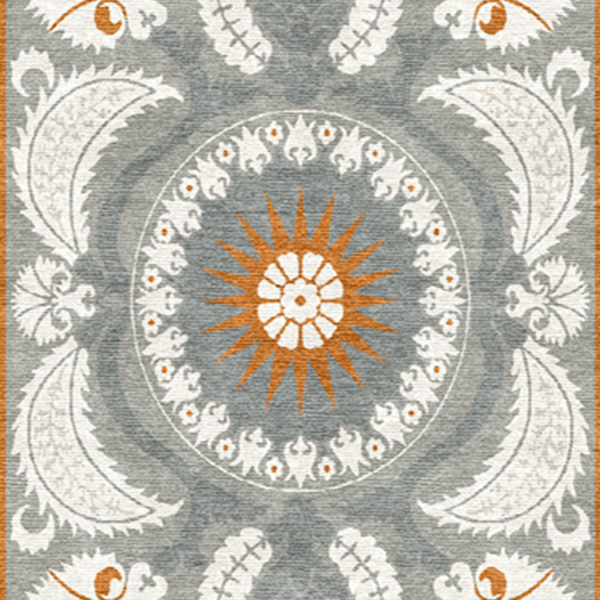 A recent favorite design, featured on a “loom” rug in her showroom, combines a “wedding ring” quilt pattern with a lotus flower. Although Julie is rooted in tradition, she favors a “transitional style” that is at home in traditional or modern settings. 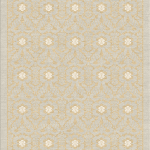 “I love for the rug to be the focal point of the room. The rug is the star,” she says. 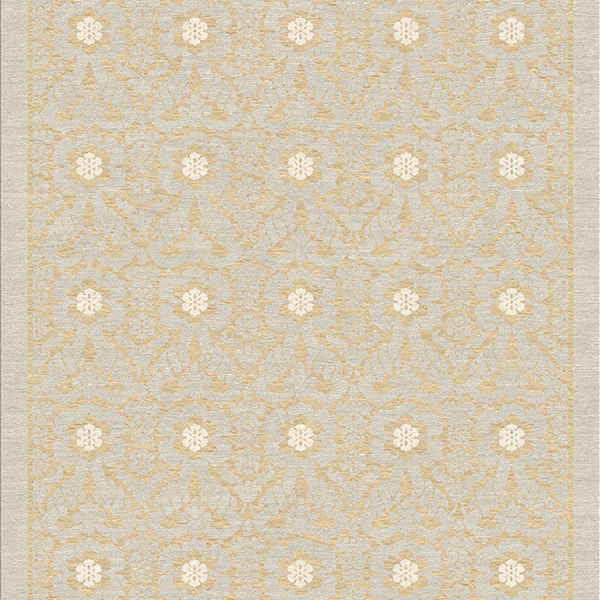 As the company boasts over 400 rug designs, clients have many options to choose from. They can also commission a custom design as did a recent client who has a Ph.D. in neuroscience. 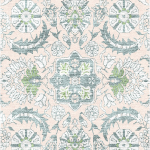 “I hadn’t worked with shapes like mitochondria and DNA double helix before, but they are certainly great inspirations for a fun rug design,” she said. 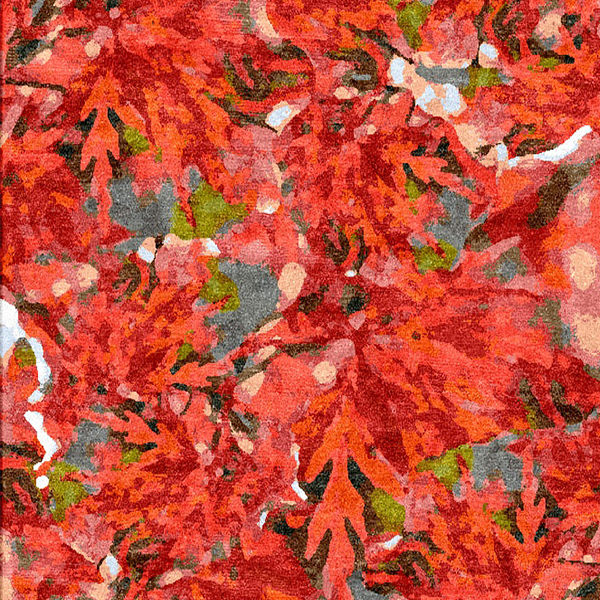 Find out more at www.juliedasherrugs.com, or visit Julie’s blog www.designingrugs.blogspot.com.